I’ve liked you on FB and shared your give away.RT you on Twitter and subscribed to your mailing list.I ‘m just about to start up myself. I twittered and facebooked it. Wow just the title of the book makes it a must-have moreover your review definitely convinced me. If don’t win the giveaway I’ll import it to France. 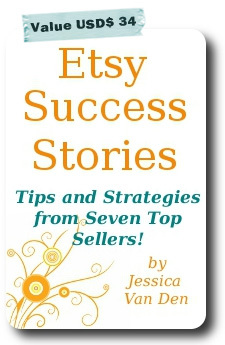 i would like to become a seller on etsy but i nedd some suggestions!